I’ve been a little behind on my write-ups here lately, but I’m finally getting around to putting this story together on the final cruise of the year at the Fontanel Mansion. I actually hate it when this one ends. The Fontanel is one of the nicest locations for a car cruise in town. There’s beautiful scenery. There’s plenty of stuff to eat. There’s live music. Even my wife likes going to this cruise. We took the truck out this time, and it turned out to be a great night for it. Unfortunately, my camera finally died forever about half-way through the show, so many of these pictures were taken with my cell phone. You can generally make out car shapes in most of them, so at least they’ll give you an idea. I think one of the nicest cars out there was this Cardinal Red 1966 Mercury Cyclone GT. 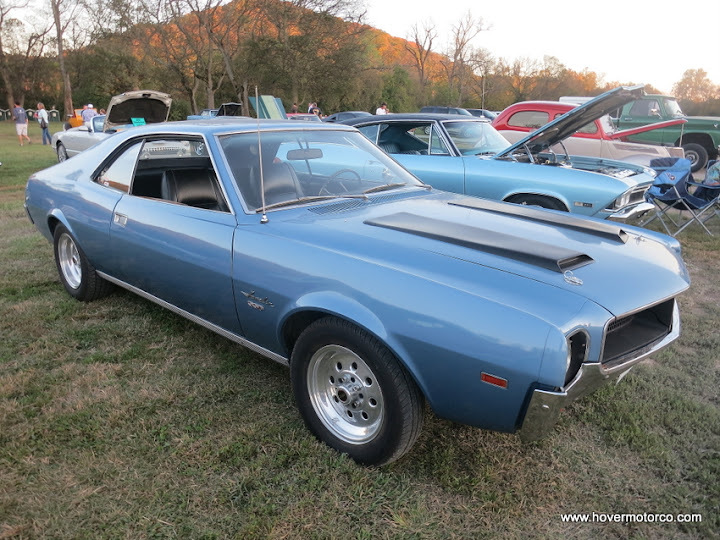 These were a pretty potent muscle car in their day. It only weighed about 3,300-lbs, but it packed a 335-hp, 390-c.i. V8 under the hood. I can’t imagine any ’66 Cyclone ever being more desirable than this one. It had the white bucket seats and red carpets. It had a four-speed manual transmission and dash-mounted clock. It had the simulated chrome steelie wheel covers. 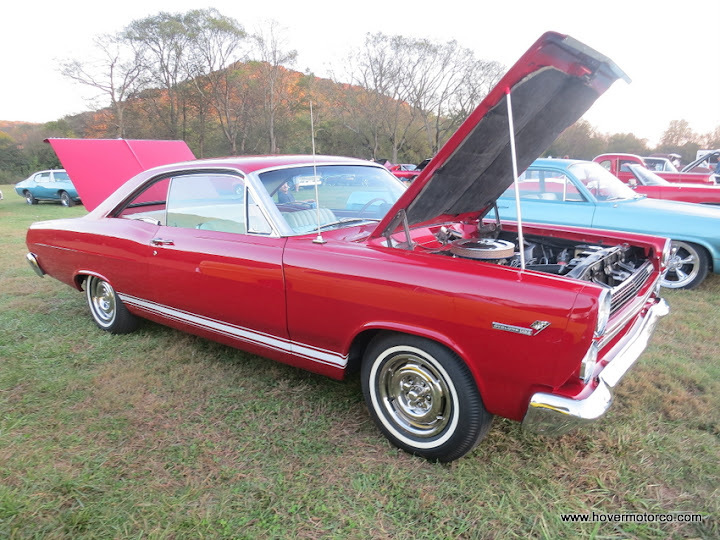 Every inch of this car looked right, whether under the hood or under the trunk lid. If you like vintage Mercury performance, you’d love this car. 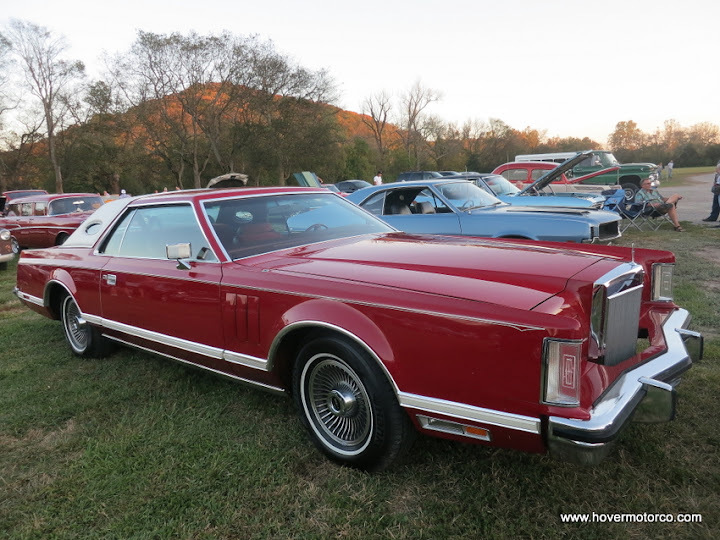 A little more than a decade later, you could purchase a Continental Mark V like this one at your local Lincoln-Mercury dealer. This is definitely not a sports car like that Cyclone, but it its own special charm. This is a real personal luxury vehicle. It’s 203-inches long, but it really doesn’t have a ton of room inside, especially the back seat. But oh, those seats. Acres of red, pillowed, crushed velour invite you to sink in for the long haul. Peer out the windshield, and somewhere on the horizon at the end of the deck of an aircraft carrier is the Lincoln hood ornament standing tall and proud. Not many people would go for new car like this today, but a nice example like this reminds you of a time when they did. 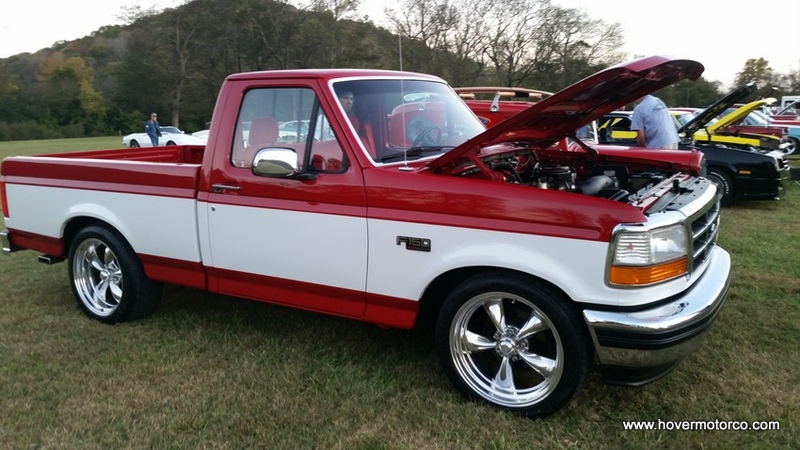 I’m not sure what it is about red-and-white Ford products at this show, but this mid-90s F-150 stood out as well. Clean little short-bed pickups are hard to beat anyway, and someone did some really nice work to this one. The performance-minded 5.0-liter V8 looked right at home, and the stance and wheels gave it a purposeful appearance. This is like what you would have expected a Mustang from that era to look like if you turned it into a pickup truck. There’s not a lot about this truck I didn’t like. But don’t tell my Chevy friends that, or I’ll just deny it. Here’s something that’s neither red, nor a Ford product. This is an Alpine Blue ’68 Pontiac GTO. 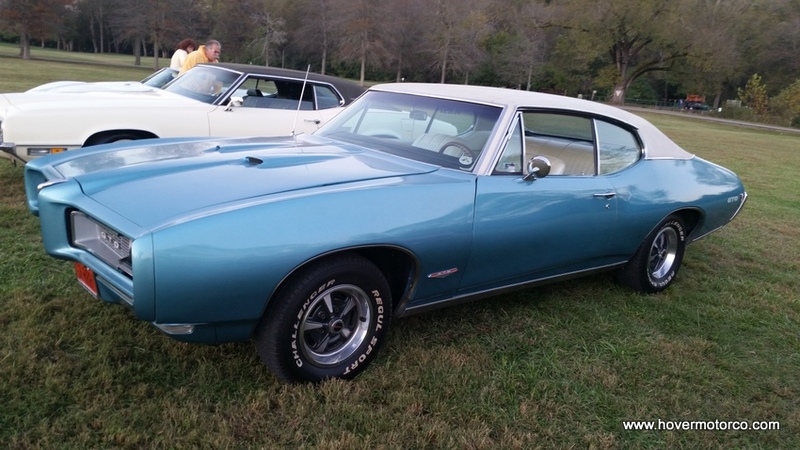 1968 was the first year of this generation GTO, as Pontiac got away from the more angular, boxy look of the earlier cars. People got pretty excited about that curvaceous body, Endura front bumper treatment, and hidden windshield wipers. They were also excited about the GTOs high-level of performance, which pumped out 350-hp even at its most base configuration. This car had some desirable options, like Parchment vinyl bucket seats, factory air conditioning, and a Hurst dual-gate shifter. This was a cool car all around. I took 113 fairly mediocre cell phone pictures from the final Fontanel Cruise of the season. You can see them in the slideshow below, or click this link for a nicer version. All pics are super cool, thanks for sharing.